"Dr.Zarac is so caring and concerned about me and my family. She take the time to ask various questions about your health which I appreciate." "My experience with Dr. Zaric has been outstanding. I would recommend her to others." "I would reccomend Dr. Zaric to anyone. She spends all the time with you that you need. I asked her if I could stop taking a medication or have a lower dose. She explained why I needed it and why I needed the dosage I was prescribed. I was able to understand what she told me with no problems." "Emerg. staff was very caring and understanding my problem. " "Dr. Zaric is very professional and was exceptionally helpful in explaining all aspects of my medical problems! Highly recommend." "I could not deserve any better. I am delighted I chose Dr. Zaric." "Very competent explains and diagrams complex issues well, makes it easy to understand!" "Dr. Zaric is a phenomenal physician! I hold her in high regard and have much respect for her. She truly cares about her patients." "Dr ZAric is excellent in all of the above ." "Dr. Zaric is more than very good! We are extremely happy to know her and have her as our doctor! It has been now more than 5 years we are with her! #1-10. EXTREMELY. " "Dr. Zaric is a caring, knowledgeable and compassionate person, who certainly has the interest of the patient uppermost in mind. If I could leave a model doctor... It would be her." "Dr. Zaric is an asset to your institution." 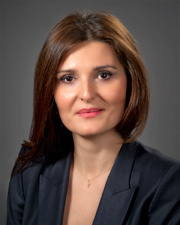 "Dr. Zaric is very knowledgeable, has a high level of patience and wonderful bedside manner. Her comprehensive care and expertise is the reason why I patronize Northwell. Dr. Zaric is highly regarded and a true professional. I highly recommend her!" "Dr. Zaric is an extraordinary doctor and a wonderful human being. She is the best doctor I have ever gone to. I highly recommend her, for her professionalism, knowledge & friendliness!" "Dr. Zaric is a caring, sensitive, compassionate, and knowledgeable doctor. I felt confident that I was in excellent hands during my procedures. I would recommend her highly without hesitation." "Dr. Zaric Maja is a very well recommended Cardiologist from my CPC. I saw her four years ago for a stress exercise test and a echocardiogram to r/o cardiac disease and it was negative." "Dr. Zaric is an amazing dr. I could not be more satisfied with her professionalism, courtesy and over all bed side manner - Surrounding team that works together with Dr. Zaric is - top notch also." "Dr. Zaric is excellent. I wish everyone a doctor like her." "Dr.Zaric was excellent-she always explains everything, and never rushes time spent with me"
"I travel ~ six hours in total to see Dr. Zaric...and would travel six more if it were necessary. She is an exemplary doctor, one who takes the time to be with a patient, to explain medical findings in an easy and understandable way...and clearly has the well-being of the patient at heart. l"
"Doctor Zaric is clear, concise and straight to the point. She really cares about her patient (myself) and is always top of her knowledge." "Dr. Zaric is great. Highly recommend!" "Dr. Zaric was a pleasure. She made me feel like she really cared about my well being. She took the time to explain things and I was very happy to meet her. Highly recommend her." "In general I was satisfied with care." "I can't say enough about Dr. Zaric she is an excellent physician, very knowledgeable , concern about her patients. takes the time to explain issues, future possibilities. Awesome doctor"
"V. v. good - Excellent. " "I am very lucky to have such an excellent doctor. She has also referred me to other excellent physicians." "She is a super capable doctor, excellent human being." "The doctor who referred me to her was right on point when he said she was tough and the expert in vascular care but he failed to mention how personable, caring, and down-to-earth she is. What a great bedside manner she has, these are the kind of people/doctors I love. The way they are help take your mind off your problems." "Great bedside manner and she's beautiful." "My Doctor is highly professional and educated. offer respect and kindness." "She was very good, courteous, caring." "I am very lucky to have such a great doctor,"
"She was caring understanding and cheerful." "The best office visit I ever had." "She is great. She sits and explain next steps in my heart situation and what she would like to do"
"She's one of the best doctor I know." "Is an excellent doctor I recommend her to any one who needs her." "Dr. Zaric excellent care and knowledge in the area of cardiology." "#10. I already have recommended her to friends and family -"
"Dr. Zaric is wonderful. She explains everything in great detail & obviously cares about her patients and outcomes." "Dr. Zaric was so caring and informative. So refreshing to see a doctor that actually takes the time and cares for your issue!" "Dr. Zaric is awesome from my first visit she helped me to understand my blockage and understand what to do. She hears you as a person!!" "All are the best one." "Dr. Zaric is the most caring physician I have ever met." "Dr. Zaric is able to make _____ comfortable; she is amazing - Loved her knowledge and the way she explains everything." "Cannot say anything negative about this doctor - She is exception, thorough concise caring." "Very good about explaining my condition to me and the amount time she spent with me."